23x8mm. 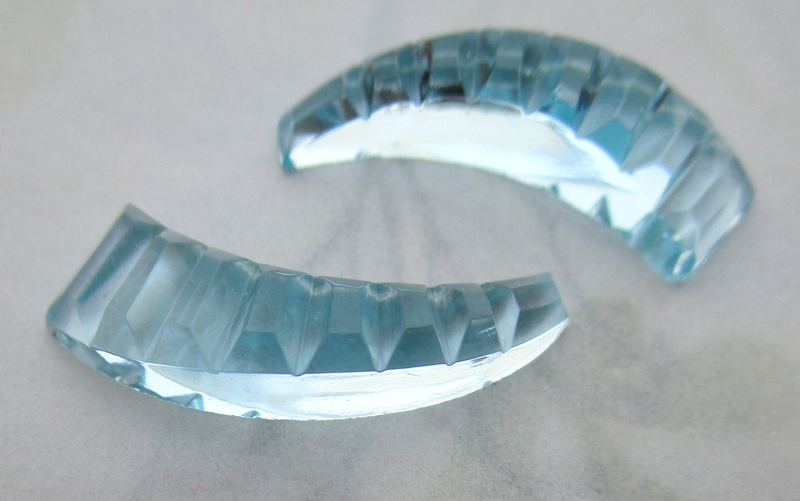 Vintage glass ridged MCC machine cut crystal light aqua blue curved flat back cabochons. These have chips along bottom edge, but they will not be visible from the top. New old stock. Jewelry supplies.